Aducky is an advertising network for software developers and distributors. Aducky offers its clients various tools including the Aducky advertising server, which provides computer users with pop-unders, pop-ups, rich media advertisements, video-based ads, and mobile advertising. One of the programs associated with Aducky and which has caused a lot of problems to computer users is known as Video Helper 1.0. 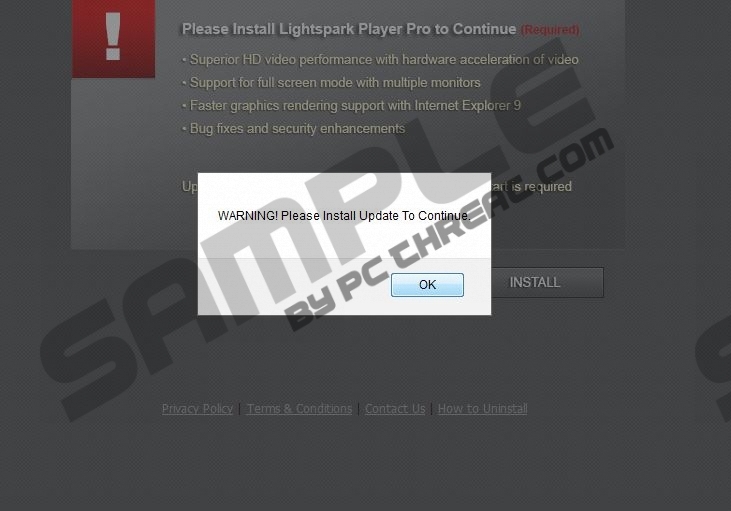 This program is installed as a browser add-on and in the Control Panel you can find it as system update kb70007. If you have this browser plug-in on your computer, you must be familiar with its characteristics. The browser plug-in displays a lot of different advertisements, a majority of which has nothing in common with the websites that you are browsing. Video Helper 1.0 arrives at the computer bundled with different computer programs, including V9, which chances the home page and search provider of the browser; PastaQuotes, which is an adware program; the system optimization program PC Optimizer Pro, and some other free programs that adds little or no functionality to your Internet browsers or the overall operating system. This so-called Aducky program should be removed from the computer as soon as possible because it covers your browser window up with pup-up advertisements and web banners. The advertisements may take you to locloudbox413.com, lp.download-videos-free.com, downloadefused.com, and many other scam websites. You will find pop-up advertisements encouraging you to update some media player or install the Flash Player. You may also find pop-ups saying that you are the winner of some prize; however, in order to get the award you may be asked to take part in a survey or subscribe to some mobile service. As you can see, the various advertisements provided by the browser extension, or Aducky, can redirect you to scam websites featuring installers that can cause you some online privacy related problems. The programs associated with Aducky may use browser cookies and other tracking techniques to record your preferences. The developers of the program and Aducky may be interested in your clicks, search terms, browsing history and other non-personally identifiable information. The information collected may be shared with affiliates, including subsidiaries and sister-companies. If you do not want to receive more advertisements, some of which may be based on your search terms, remove that Aducky program from your browsers as soon as you can. Below you will find our step-by-step instructions which should help you uninstall the adware program and fix your browsers, but we recommend that you implement SpyHunter. The recommend spyware and malware removal tool cam remove the unwanted program and fight off many other unreliable programs, including adware, browser hijackers, rogue anti-virus programs, etc. Remove system update kb70007 (published by MSR). Select Uninstall a program and remove system update kb70007. Point to Tools and click Extensions. Remove the unwanted browser plug-in (Video Helper 1.0). Press Ctrl+Shift+A and click Extensions. Remove the unwante browser add-on. Quick & tested solution for Aducky removal.